In the Republic of Ireland there are several airfields, military airports, private runways and of course a number of international airports. If you are travelling from Europe or the U.S. you will most probably land on one of the three largest and busiest international airports which are Dublin airport, Cork airport and Shannon airport. Dublin and Cork airports are the most used ones for the connections with Europe, while the country most flown to from Ireland is the United Kingdom. Irish airports serve mainly as hubs for Aer Arann, Aer Lingus, Aer Lingus Regional and Ryanair which is the most popular low-cost airline in Europe and is based in Dublin, Ireland. There are also some regional airports serving Donegal, Knock (county Mayo) and Kerry. There are also Sligo Airport and Waterford Airport, but they currently don’t have any scheduled flights. As for the airports in Northern Ireland, there are three international airports – Belfast International Airport, George Best Belfast City Airport and City of Derry Airport. Below you can find detailed information for each of these airports, just select the one you are interested in by clicking on the airport name in the table provided. 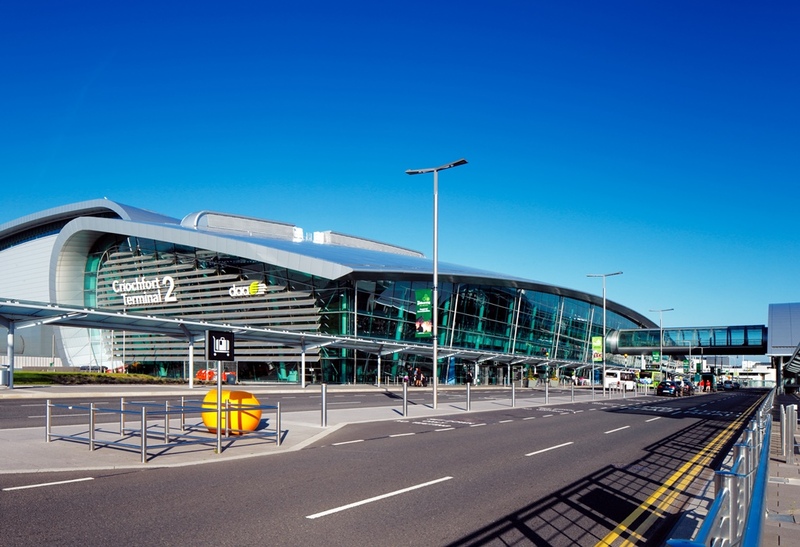 Dublin Airport is the largest and the busiest international airport in Ireland and it is located 10 kilometres north of Dublin city centre. The airport serves as a main hub for two major airline companies in Ireland, Aer Lingus and low-cost carrier, Ryanair. The city centre can be easily reached by shuttle bus from Dublin Airport in 30 minutes. Also, if you are wondering what to visit in Dublin, have a look at our mini-guide for a 24 hour-stay in Dublin. Cork Airport is by far less busier than Dublin Airport, but it has around 20 regular scheduled international flights (e.g. to Amsterdam, Paris CDG, Gran Canaria, Lanzarote) and seasonal flights to Spain, Italy, Switzerland and Germany. Cork Airport also has several regional flights to Great Britain, which are operated by Aer Lingus Regional. The city centre of Cork can be reached by bus line 226 and the travel time is 20 minutes. Shannon Airport is the third biggest airport in Ireland with more than 1.7 million passengers annually. The airport is located in Shannon but it serves cities of Limerick, Galway and Ennis. Shannon Airport is optimal solution if you wish to visit Aran Islands. The airport mostly has seasonal flights, but there are also regular scheduled flights to Boston, London, Bristol, Kaunas, parts of Spain and parts of Poland. There are three bus lines which run from Shannon Airport: line 51 (to Cork), line X51 (to Limerick) and line 343 (to Ennis). Belfast Airport is located in Aldergrove, 21 kilometres northwest of the capital of Northern Ireland. It is the busiest airport in the country and second busiest on the entire island of Ireland after Dublin Airport. 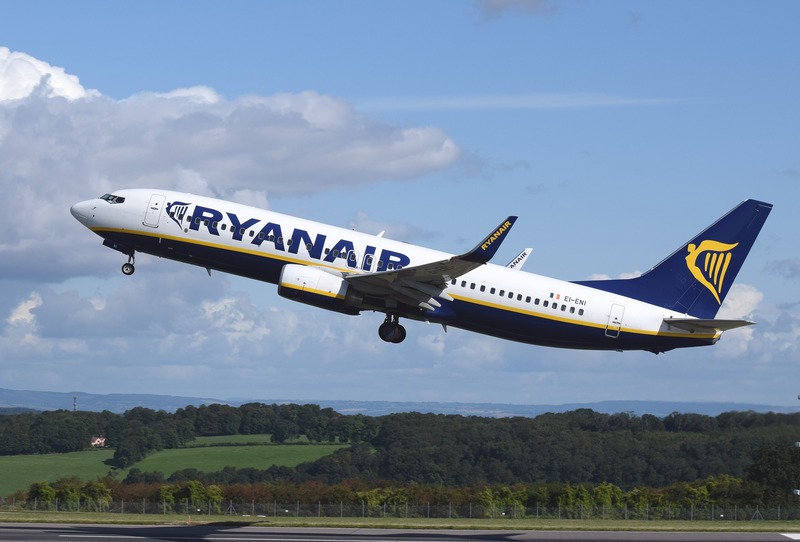 The airport has regular flights operated by Ryanair and easyJet while other flights are mostly seasonal. See information on how to get from Belfast Airport to city centre. In case you are flying to Belfast, here you can read more about what to see in Northern Ireland. George Best Belfast City Airport is located 5 kilometres from Belfast city centre and it mostly serves for regional flights although there are few seasonal flights to Malaga and Faro. It serves as a base for Flybe, the largest independent regional airline in Europe. You can reach the city centre by metro line 600. Public transportation from the airport: There are no direct bus/train lines to Donegal Airport, so you will have to book a transfer or rent a car to above mentioned cities.